Really don't have time to get into a long thread about why I did the 2 things to stop my caddy from drinking oil. However, with each I do have my own plausable theories and not here to argue my side. Anyway, here are the 2 things I did to take my caddy off the oil diet it has been on for several years now. 1) Removed PVC fitting and drilled the line connection side out to 7/64" and flipped it over and drilled the largest of the 2 valve cover side holes out to 7/64". 2) Installed a K&N filter. I do not know which single modification or it could be the combination of the 2 stopped my car from using oil, but so far it has not used a drop. It has 155,000 miles on the odometer. I do see where my post caused some confusion. It is my fault for not taking the time to proof read and correct my errors. Please follow the link above and scroll down to the pictures showing the PCV metal fitting on the passenger side valve cover. 1) Removed the PCV metal fitting from the passenger side valve cover using a pair of pliers after removing the vacuum line connection. You will notice there are a total of 3 metering orifices on this metal PCV fitting with 1 on the line connection side and 2 on the male protrusion that extends down inside the passenger valve cover. I just drilled out the line connection side and the largest of the two holes on the valve cover side to 7/64". My goal was to provide more crank case ventilation here so the line on my driver's side valve cover to air intake plumbing box would not see such a large delta P. There is a passage route design feature underneath the PCV metal fitting that is suppose to prevent or minimize oil from being sucked through the fitting. 2) I put in a K&N thinking our after market filters were too restrictive and contribute to a potential delta P, which will encourage oil vapor introduction into our intake plumbing box just prior to the aluminum intake connection. However, I did not have a monometer to validate this theory just put in the K&N blindly with the assumption it can only help. 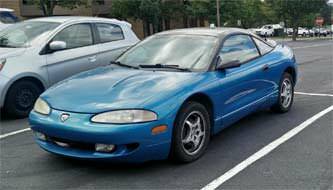 My car was using anywhere from 1/2 to 1 qtr of oil every 500 miles and tried everything from Lucas, conventional oil, & Sea Foam to name a few. So far this has fixed my car, but may not work for all the cars out there on the oil diet. The presence of oil in my air intake plumbing box lead me to do these mods. I'd have to ask our resident Caddy/3.6 expert, but there are no shortage of possible causes on these motors. They are trouble prone in every way. I'll see what he has to say about it, I know we've had many come through our shop with the same issue. I haven't looked at the thread you linked but I read through what you quoted and I don't see how either of those would work. The stock motor should not be consuming oil. The PCV system is engineered to be competent for a stock motor as well. There's no reason to modify it. Where is the oil going? Is it burning? Leaking? I texted our Caddy expert and he said it's USUALLY piston rings that cause it, but it CAN be a plugged PCV system. The pcv system may be engineered,but was it engineered right? I know the pcv system on my old turbo toyota pickup wasn't engineered the greatest. I built my own homebrew oil catch cans and re-routed some stuff and solved a lot of the common problems with that system. Sometimes I think some engineers are over rated and over paid. I have re-engineered some cooling system parts at work like these transit bus trans oil coolers. My idea was so simple and so far has worked better for 2-3 times longer and going than the original set-up. And I'm a highschool drop out. If someone re-engineered this caddy pcv system and has at least somewhat long term positive results I'd probably at least give it a shot. Honestly, catch cans should probably be on all performance cars, but that's for another discussion. However, there is no way in hell that a stock PCV system is causing a quart of oil to disappear between oil changes unless there's something wrong with it. Pull the PCV valve and check to see if it's clogged. It should rattle if you shake it. Also, if you blow through it from the valve cover side, it should allow air to pass, but not the other way around. If that doesn't fix it, do a compression test. You've probably got some blow-by caused by worn piston rings on one or more cylinders. I'll put it this way - the 3.6 is a cursed motor. Even the totally different but same displacement 3.6 being used in the Traverse, Impala, and Equinox is a ticking time bomb. Horrible engineering. Works great when it works, but not designed to last. Just a bad motor. Nick is somewhat right in regards to the whole cursed thing. The main issues on this are timing chains and oil consumption. The catch can and/or the mod I posted seem to be fixing it (how drilling the holes fixes it I have no idea)according to others.. Because of that, I'm thinking it's an issue in the PCV area. As for where the oil goes, no one knows. It doesn't leak out, it doesn't end up in the coolant, and it doesn't seem to be burning (though I would guess burning). The finger pointing at the rings I've heard before. Someone likened it to the early LS1 oil consumption issues and their rings too. Apparently the 3.6 uses the same type of rings that the LS1 uses, but unlike the LS1, it isn't worth it for GM to try swapping out the rings. Their stance is 1 quart of oil consumption in between oil changes is considered acceptable. I don't know that I would call the LY7 a performance engine haha Though it does fairly well, it's not anywhere near the LS* line of engines. Heck, I think my L27 was a better engine than this one...though that really was a good engine. I'd just start by disassembling everything PCV related and cleaning it out. Replace the valve and anything else needed. As far as the oil not burning,it might be. If you're only loosing that little bit over an oil change it might just be slowly burning it so you don't notice any smoke. If i'm not mistaken synthetic oil doesn't smoke as much either. I would guarantee it's burning but you don't know it. My Talon has blow-by from cylinder #1 and my intake piping is always oily. However, it never smokes, even at full boost. I'm not seeing any oil anywhere is the thing. I was contemplating going with the catch can like you mentioned, but I need to find out how emissions works as far as that goes around here. I have a buddy who can help me with that. Honestly, I'm thinking that is probably the best way to go about it. Do a compression test first. You can rent the tool from Autozone and it only takes a few minutes to do. If any of your cylinders are lower than the others, it's likely an issue with your piston rings. If the compression test checks out, then start questioning your PCV system. Pull off the intake piping. If it's oily, then a catch can will help prevent the oil from making it to your intake piping, but it won't stop the oil consumption. The issue would be poor crankcase ventilation. Might be a bad PCV valve or maybe the breather just aren't big enough, although I doubt this on a stock motor with a stock PCV system. It's a common issue across ALL of the LY7s, and their smaller and bigger displacement cousins as well though. Obviously something isn't engineered very well, and it may ver well be the PCV. 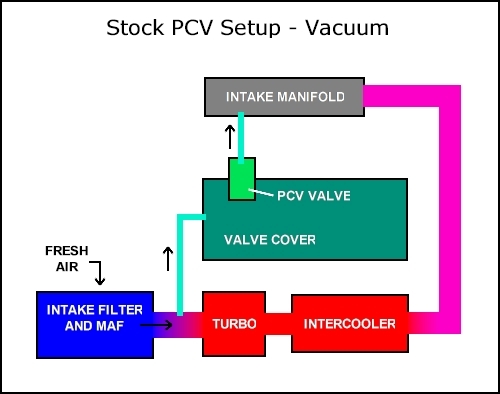 I'll look at the intake piping first, and I'll swap out the PCV, but honestly, if others are having to add catch cans, CAIs, or drill out stuff to get oil consumption to stop, I seriously doubt the stock PCV system is really all it's cracked up to be. The catch cans, btw, are stopping oil consumption from what is being found, but I'm not sure how, that doesn't really make a whole lot of sense to me. I don't believe the catch can is stopping the oil consumption at all. I think people are being mislead unless there's some other PCV system modification taking place at the same time. Be careful with these modifications as well. The PCV system is very important. There must always be a PCV valve (or other one-way check valve) installed. For DSMs, the OEM PCV valve is known to be problematic. Many people add a check valve after the PCV valve just in case it sticks open. Well, it's hard to argue with them sticking on a catch can and the problem goes away. Also, from what I've read they leave the PCV in place when they add the catch can. Which again, makes no sense and I would think there would be a whole different and better way to do that. I'll re-read the thread tonight. You definitely have to leave the PCV valve in place or else the PCV system won't work properly. I'm still looking, but I thought I saw a pic of the catch can hooked up to the PCV. I'll assume it's similar on most cars -- minus the turbo/intercooler, of course. The first catch can DSM people install is one between the valve cover and the intake piping. This catches the oil residue and gases so they're not allowed to enter the intake piping. More serious modders eventually add one between the PCV valve and intake manifold. Regardless, the PCV valve must stay intact or you'll be pulling vacuum from the intake manifold and mess up the flow of pressure. The more I read, the more I'm convinced on doing the drill mod instead of a catch can. Seems to be successful and I don't have to worry about adding a catch can. And what does the drill mod do? Allows the usage of larger hoses with the PCV system? No, the holes aren't nearly as big as the hoses attached to them. What it does is expands the outer hole and one of the inner holes to 7/64". Same size hose on the vehicle. But with the way this engine is designed, if I'm doing that, I'm replacing the PCV while I have it off Such a nightmare. It rivals my BMW for work required to do simple work. Eh, I don't really follow but I also don't have the car in front of me to look at it. I'm not sure why it fixes it, the common agreement is that there's a delta somewhere and that the drilling out of the holes relieves that. What oil, what OCI, and what climate/driving conditions? Very important things because ALL engines consume some oil between OCI's. That's just a plain fact, no such thing as an engine that doesn't consume oil. NOACK volatility alone will cause a volume decrease. What ever the factory size is, drilling out to 7/64ths (that's ~0.11" dia. by the way) is not fixing anything to do with a pressure differential. Transients from the TB vastly outweigh that kind of difference with the PCV. The stock air filter vs. the K&N filter is also a bogus "fix". With today's thin oils, 1 qt over a 5,000 mile OCI is not an issue, especially with severe drive cycles and/or temperature extremes.